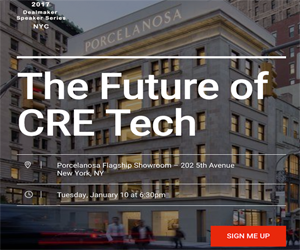 Pierce Neinken is a fixture on the commercial real estate technology scene, Pierce’s passion for the new innovations on the tech side of the industry led him to found CRE // Tech Intersect, widely regarded as the nation’s premier conference for the exposure and discussion of the subject. We're proud to have him on as an Advisory Board member! Pierce: Two trends, crowdfunding and collaboration-oriented platforms. Pierce: CRE // Tech Intersect. Pierce: There are significant opportunities to combine existing disparate data sources and apply predictive analytics. Pierce: Go to CRE // Tech Intersect, there's no better place to learn about both established and emerging CRE tech. For advice on how to get the most out of events like CRE // Tech Intersect, please refer to this previous CRE App Review post.